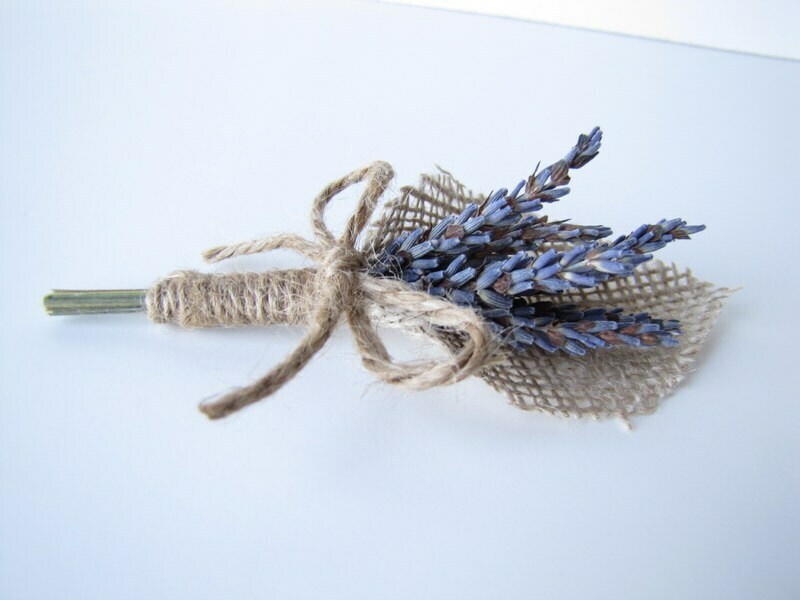 These cute, simple and rustic pin on boutonnieres or corsages make a great keepsake after your event. 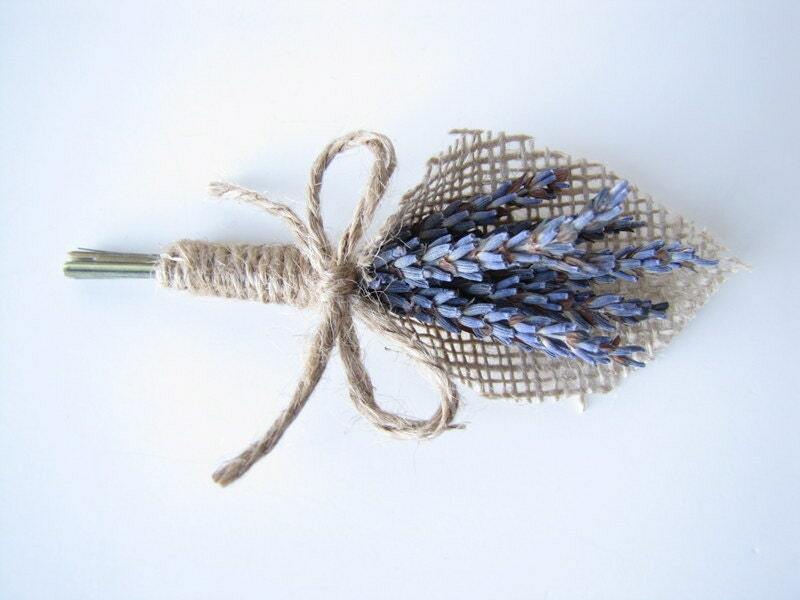 They are made with fragrant dried English lavender, a tan or natural colored burlap fabric leaf and jute twine. Black pins included when you choose the pin on boutonniere option. Pearl tipped pins included when you choose the women's pin on corsage option. These look great, exactly as expected. 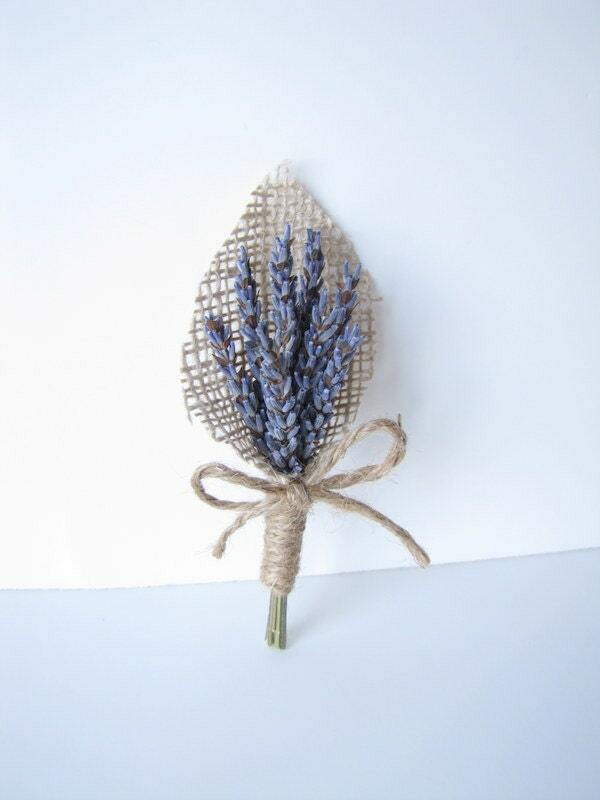 I ordered these boutonnieres for the groomsmen at our wedding and I am very pleased with how they turned out. 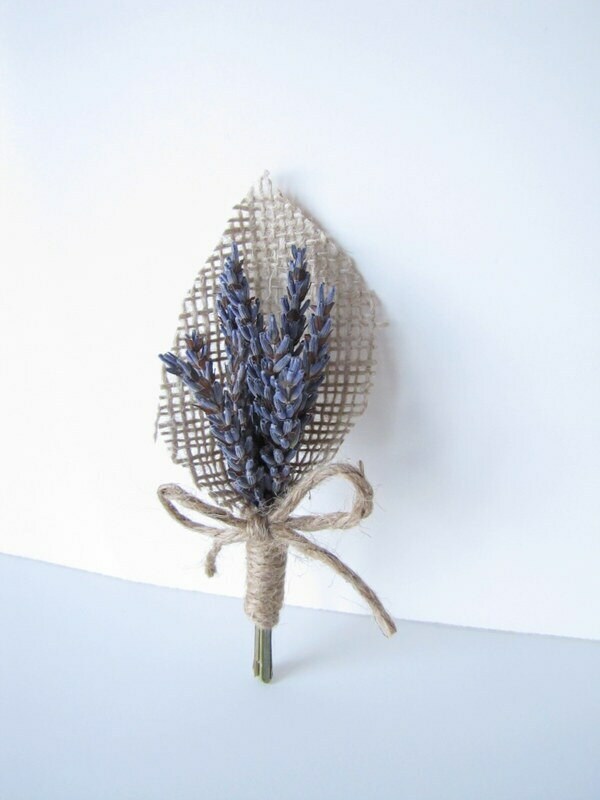 They are exactly as pictured, well made, and high quality, including proper individual packaging of each boutonniere to keep it from getting damaged. Highly recommend. lovely, beautiful and delicate. !